Voter identification laws have increased throughout the country since the U.S. Supreme Court opinion Shelby County v. Holder (decided in 2013), which essentially gutted the Voting Rights Act. The purpose of the Voting Rights Act of 1965 was to help ensure that African Americans could exercise their constitutional right to vote in states and municipalities where barriers and discriminatory practices had been in place. In Shelby County, the Court changed the requirement for the mostly southern states with histories of discrimination in voting to receive federal approval before changing any voting laws. Without this requirement in place, several states changed their voting laws making it more difficult for minorities to vote. For instance, voter identification laws were passed in some of these states that have prevented blacks and Hispanics from voting. On July 29, 2016, North Carolina became the third state in the few weeks to have a voter ID law ruled unconstitutional. Voter ID laws in Texas and Wisconsin have also been struck down by federal courts. Voter identification laws require voters to provide either proof of citizenship and/or a photo ID in order to cast a ballot. The federal appeals court that struck down North Carolina’s law found that is was discriminatory in that it disproportionately affected minorities and was intended to make it harder for blacks to vote. The Republican led argument in favor of such voter ID laws is that they help prevent voter fraud. The downside is that these laws effectively create barriers for young, poor and minority voters. 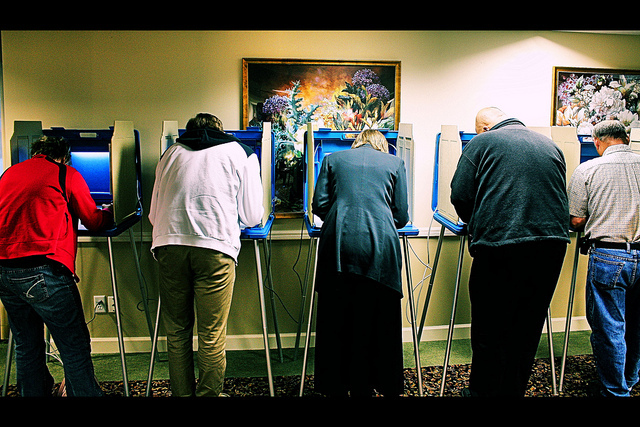 There is evidence that existence of voter fraud is more of a hypothetical than a reality. For example, one study conducted in Wisconsin showed that out of 3 million votes for the 2004 election, there were seven cases of fraud, which would not have been prevented by a voter ID law. The Wisconsin voter ID law rejected student IDs as an acceptable form of identification in order to vote creating an obstacle for many student voters. Now that a federal judge has struck down this law, residents will be able to vote without a photo ID. All residents of these states, North Carolina, Wisconsin and Texas, should be able to vote without barriers on Election Day. We hope to see increased voter turnout and a majority of the people exercise this fundamental right on November 8th. In my opinion, yes Voter ID Laws are constitutional so long as their are not used a means systematically block members of a race or group from casting their ballots (ie, jim crow south). Additionally, the modern Voter ID Laws are designed to deter ‘ballot box stuffing’ which adds another layer of protection to the voting processes here in America.